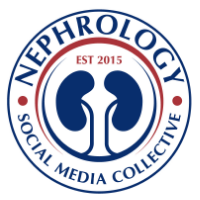 Nephron Power: CONSULT ROUNDS: METHANOL and the EYE? Methanol toxicity increases formic acid and causes an anion gap and osmolar gap and classic optic findings. WHY the eye and not other organs like liver, other small vessels? anyone ever wondered? Even as little as 10ml can destroy the optic nerve. Methanol is a CNS depressant and can cause same effects as alcohol. It also gets metabolised to formic acid via formaldehyde in a process by an enzyme called alcohol dehydrogenase in the liver. Formic acid can inhibit mitocondrial cytochrome c oxidase leading to hypoxia and anerobic changes leading to acidosis. The eye has Vitamin A and needs it for functioning. Apparently Vitamin A is metabolized by alcohol dehydrogenase ( the same enzyme), since there is a place for that enzyme there, its possible that the optic nerve becomes a target for methanol's toxication. and not other organs specifically. what methanol levels are toxic to eye..
is there anything you can do to reverse it?